Since the beginning of the year I've been slowly implementing new ways to be more eco friendly and ditch the plastic. However there is still loads of ways we can improve on this area but i wanted to share with you some of the simple things I've done so far. Making a few simple swaps such as going for reusable items or opting for products that don't have packaging doesn't have to be expensive and its not that hard to do either! Straws are such a waste and swapping from plastic ones to buying reusable ones are the way to go! We own stainless steel ones from amazon which come with a handy little brush to keep them clean. I do however need to get into a habit of remembering to take them with me when out and about. I picked up one's from lush and love the shampoo one I have and feel that conditioner isn't really needed. If you don't get on well with one brand try another as there are lots of eco friendly brands that sell them so definitely do your research. 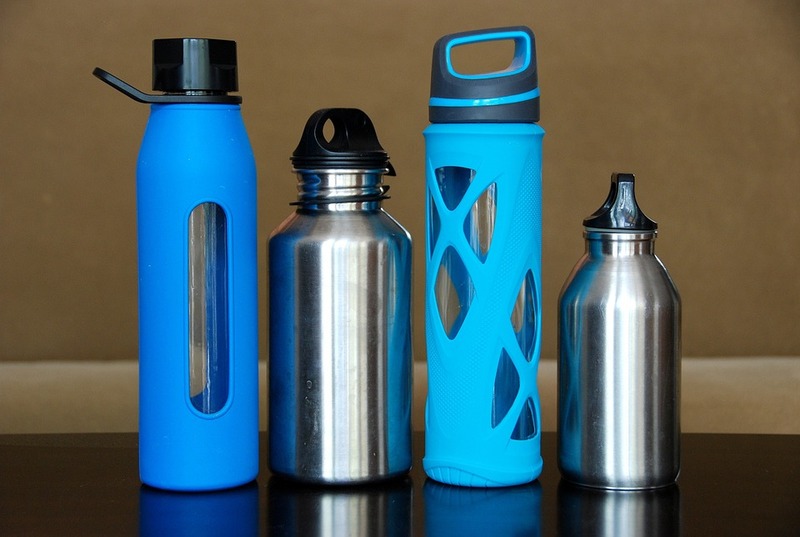 You can purchase BPA-free stainless steel bottles in all sorts of colours and sizes. This is new one for me. I recently purchased a set of 10 cloth make up pads from a small Facebook shop and they are amazing! My make up removes well, with just using the one pad, all I have to do is then pop them in the wash.
Like with the shampoo and condioner bars you can find eco friendly brands that sell deodorant bars. Depending on what you feel comfortable with you can choose from using a cloth pad or moon cup. There are loads of different brands and sizes so again best to research what will work for you on this one! Eco eggs contain powerful eco pellets that activate in the water and gently remove dirt and grime. You can buy the pellets seperatly when you run out to pop back into the egg. You can get different fragrenced ones and unscented too. We always reuse bags and make sure we have one on us most of the time as you never know when they will come in handy. Let me know in the comments below if you want more posts like this.